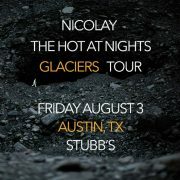 In a couple months, Nicolay & The Hot At Nights will celebrate the one-year anniversary of their most recent release, Glaciers. 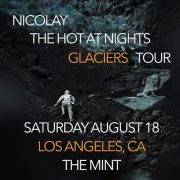 Prior to the album's April anniversary, Nic and fellas are planning to reprise the Glaciers Tour for a few dates this month. 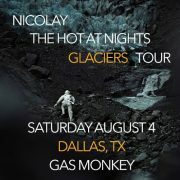 The group will be playing four dates to be exact, all on the East Coast. 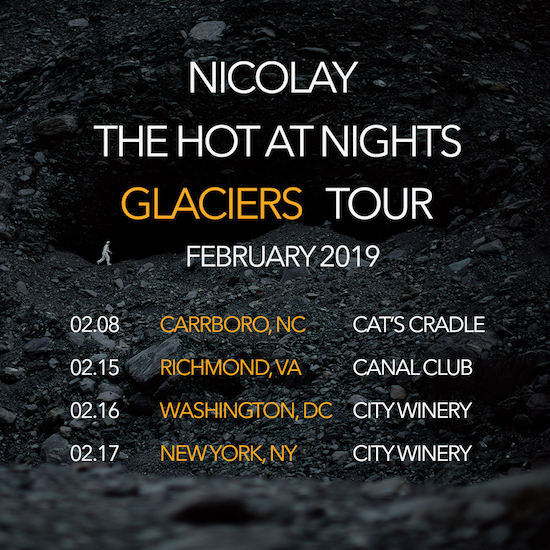 The tour will kick off in Nicolay & The Hot At Nights' home state of North Carolina with a show in Carrboro on Friday, February 8th at Cat's Cradle. From there, they'll travel north to Richmond for a show at Canal Club on Friday, February 15th and up to Washington, D.C. on Saturday, February 16th for concert at City Winery DC. 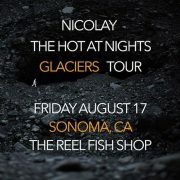 The tour will end on Sunday, February 17th in New York City at City Winery NY. 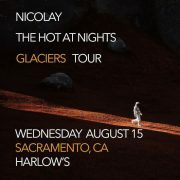 If you missed them on the road in 2018, make plans to catch Nicolay & The Hot At Nights on the Glaciers Tour this time around. To sweeten the pot for all of our SoulBouncers in these cities, our +FE Music fam has given us a pair of tickets to give away to each show. 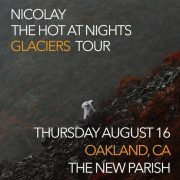 If you live in or around any of the aforementioned cities, enter to win tickets on the following page.